Proud member of the Wine Century Club, a geek org that celebrates people who’ve tried more than 100 different grape varietals. I’m at 186 and counting. Taylor is originally from Atlanta and a self-proclaimed Southern foodie. She earned her undergraduate degree in English/French Literature from Colgate University, whose proximity to New York wineries lured her into a fascination with the grape. She was hooked. After graduating, she enrolled at Ecôle Hotelière de Genève in Switzerland, a culinary management program that encouraged European wine country exploration. The addiction grew to include Italian, German and California vino/wein/wine. After completing her studies in Europe, Taylor moved to Tampa, Florida to manage at Bern’s Steakhouse, famous for having the most extensive wine list in the world. After two years, she was lured away to the corporate world, designing and managing food and wine websites in 1997. Then, in August 2001, noticing a lack of spunky wine education for non wine snobs, she launched a weekly column in Creative Loafing Newspapers called Corkscrew, which was printed in six countries around the world and is syndicated. Those vinous musings are found throughout this website. To support her wine habit, after completing her MBA in Marketing in 2001, she served as Director of Marketing and Product Development at Creative Loafing Newspapers. Taylor still regularly treks the world stoking her love of wine, summing up her rather strong opinions virtually on her website. To pay the bills, she works as a digital marketing consultant for food and drink businesses and lives in Sonoma County, California with her husband, Scott, and their coveted wine collection. The opinions expressed on this blog in no way represent those of her clients. Robb Larson loves beer, especially craft beer, and is always in search of the elusive perfect pint. Expanding and refining his palate for nearly two decades now, he has been a beer aficionado and “Beer Dude” since the days of flannel and Nirvana. He enjoys talking and writing about beer, and of course drinking it as well. When he’s not holding down a barstool at one of the Tampa Bay beer bars boring the locals, Robb likes to brew his own craft beer. Ironically, Robb also works hard as a personal trainer, helping and encouraging clients to reduce their beer belly. He lives in Clearwater, Florida with his sweetheart Lisa, their many cats, and his many homebrews. Sean Ludford has been involved in the beverage industry for more than two decades (so it’s far too late to pursue a respectable career path.) He has an eclectic resumé including stints at restaurants, some of America’s top wine & spirit retailers, as a writer & reviewer, importer/distributor, and was once even lured to the South Pacific to help open a micro brewery. Today, Sean focuses on writing and educating. 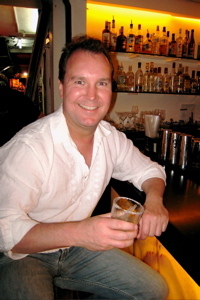 In 2006 he created BevX.com (Beverage Experts) a lifestyle web publication with a weighty beverage focus. 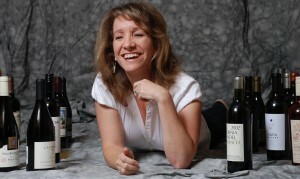 BevX is a unique and independent voice in the world of wine, beer, and spirits punditry. Sean is also a regular contributor/columnist for several print magazines including, The Tasting Panel Magazine, Nightclub & Bar Magazine, Restaurant Hospitality, and several others. He speaks regularly on topics as diverse as Single Malts, Belgian Ales, Italian wines, and the vineyards of Bali (don’t get him going on that one). In his little spare time Sean enjoys cooking, hiking, reading, watching rugby, and seeking the perfect pint. If you see him out in his hometown of Chicago, buy him one. My favorite food is anything with a vowel in it (unless you know of something spelled with all consonants.) During my formative years at University of Florida, I picked my major by opening its catalog, which fell to the Journalism section. Check: major is chosen. I took on cooking duties in exchange for having my roommates take on KP. I can tell you the number of chocolate chips in the perfect cookie. 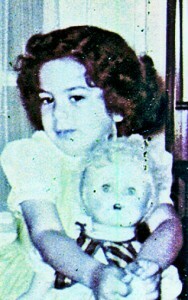 Check: Suzette Soufflé, my alter ego, was established. I became food writer for The Tampa Tribune because I could discuss the merits of battered-fried Twinkies, how much Gruyere to use in Swiss fondue, and why including Godiva every day has therapeutic benefits. Since leaving the newspaper, I’ve contributed to cookbooks, magazines and other periodicals. 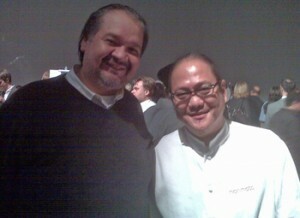 Intrepid hubby, Chas, and I choose vacation spots by plotting Michelin-starred restaurants. We know food can be the best destination on any trip. One favorite memory is sitting in the storied hills of San Francisco, as a Pillsbury Bake-Off judge, while choosing the next million-dollar recipient. No company takes integrity more seriously than this. Poppin’ Fresh didn’t want to wind up with egg on his face and the venue was crawling with men in suits with contracts. As one of a dozen judges committed to confidentiality, we had to sign a statement that no one had tried to coerce, bribe or influence us by any means beside the sheer good taste of her creation. I’ll take that same seriousness, add humor at times, and keep you informed on my take on the local restaurant scene. Jennifer Fields has a thing for adventure, and for change. In 2007, she left high-tech corporate America and ventured into culinary school. Her thoughts weren’t necessarily to become a chef, but to be professionally trained so she could go out and write intelligently about the fabulous things happening in the food world. She remains consumed in awe by the immense variety of mushrooms that bloom, all the variations of salt that are available and the increasingly interesting topic the entire world of food is. Jennifer spent time working in the test kitchen of the food section of The Oregonian newspaper in Portland, Oregon testing recipes and experimenting in the kitchen for the paper’s weekly readership. But in 2010 Jennifer decided more adventure and change was in the forecast. She headed east from Portland, Oregon to Tampa, Florida for a little excitement and a lot of sunshine. Today Jennifer is a sales and marketing professional by day and freelance food writer by night. 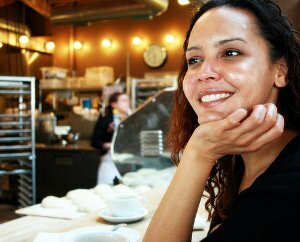 In her past food writing experience, she’s written for TastingTable.com, Culinate.com and Citysearch.com. Handled premier and large accounts including Dean & Deluca, Murray’s, Zingerman’s and other high volume customers.